Okay, so it's been a while since the last blog. Three weeks ago my camera malfunctioned (what's the point in words without pictures?) and two weeks ago I couldn't make it to the club. Last week I did make it down and we got an amazing 21 attendees. That's pretty much the number we got on the first ever night. If we were to graph attendees over time it would probably look like the smile that crept onto my face when I heard the news. Now the bad news. I remember very little about three weeks ago. I'm pretty sure I wrote some stuff down but I'm also pretty sure it went missing. 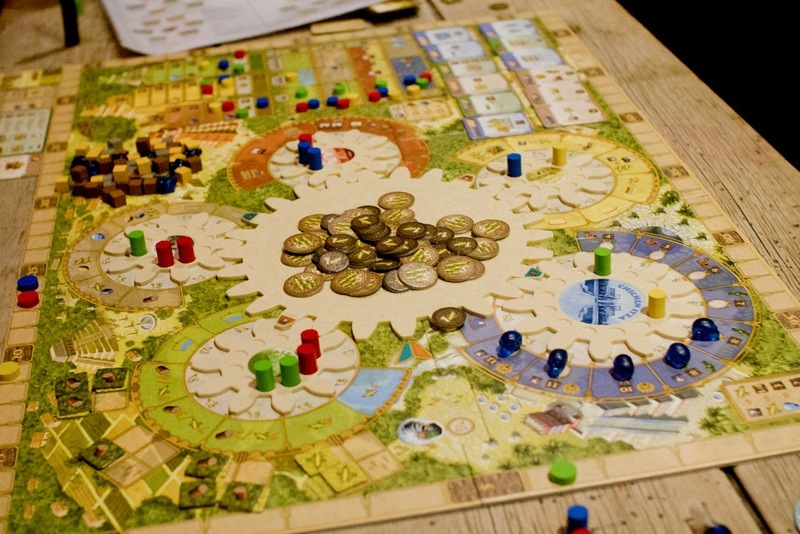 I managed a single photo of Tzolk'in so I'm pretty sure that was played. I'm also pretty sure Alex won. I also brought along Dead of Winter. We beat the game pretty easily with everyone winning their secret objectives except for me and Kenny who was the unsuccessful betrayer. The week after I know very little about but I hear people came and games were played. Somehow, without me, the group can still function. It was pretty busy in Cult this week and we almost had trouble finding tables for us all. I was relegated to a small table at the back, away from the main group but I still managed to get a small grasp on what was played. No worse than other weeks at least. There were a bunch of new games this week. Alex had brought The Sheriff of Nottingham and Johnny had come with XCOM. It had arrived in the post that morning and still had the plastic wrap on. I started off with a couple of game of Biblios. I came last in the first game, scoring only a single point. With a new found determination I won the second game. We followed this with Citadels and K2. Embarrassingly enough I won those too. Even though XCOM is a timed game it took most of the night. In place of a proper rule book it comes with a tutorial on the app. In the tutorial the first three rounds are played without a time limit so you can get the hang of things. 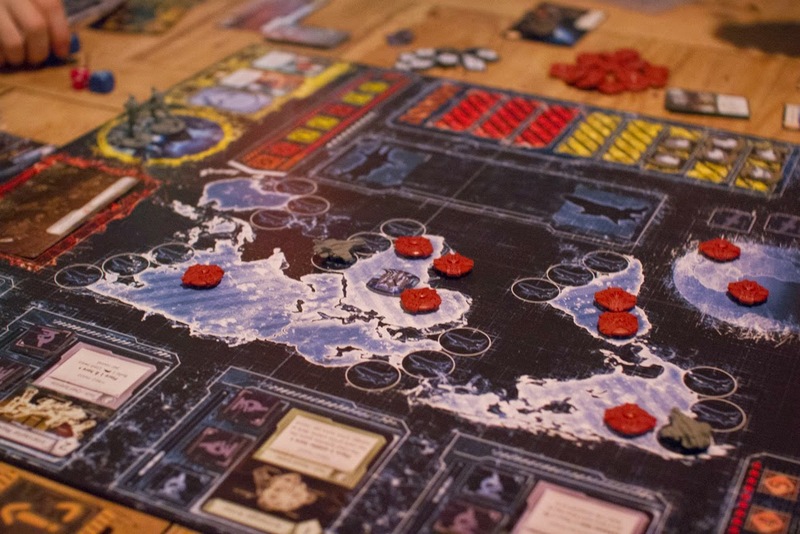 Even still the game was lost and Earth was invaded. I for one welcome our new alien overlords. Andy had brought Splender and Lords of Waterdeep along with the Scoundrels of Skullport expansion and both got a play along with No Thanks! Mike turned up a bit later than usual but still managed to squeeze in a game or two of Quantum.